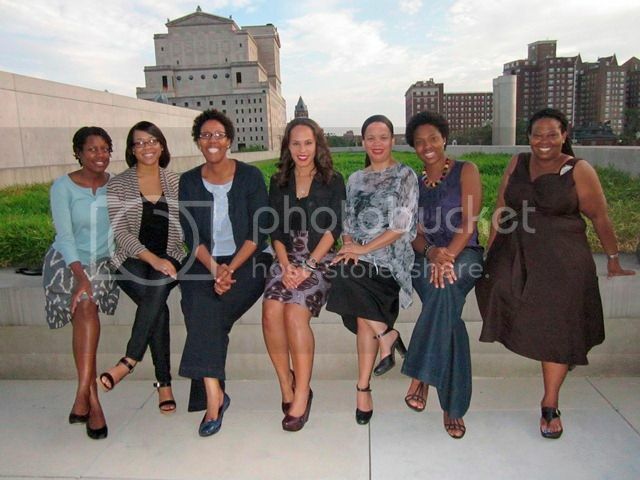 Romare Bearden Fellows enjoy St. Louis architecture. St. Louis, MO - On July 12-15, the St. Louis Art Museum (SLAM) hosted the National Alliance of African and African American Art Support Groups’ (NAAAAASG) 12th annual conference titled, “Navigating the Mainstream: Learning from the Past, Looking to the Future,” and commemorated the 20th anniversary of the Romare Bearden Graduate Minority Museum Fellowship. The well-organized series of affairs was coordinated under the leadership of Renee Franklin, Director of Community Partnerships (SLAM) and current manager of the Bearden Fellowship, which aims to prepare minority graduate students for work in museums and cultural institutions. Bearden Fellows past and present were in attendance, and Rochelle Caruthers, a 2011-2012 fellow, was influential in the planning of the conference. The Fellow's accomplishments were highlighted as they were encouraged to gain momentum and influence future generations of art enthusiasts. Conference invitees included many of the country's art elite as guest speakers to promote conversation surrounding the challenges and opportunities of exposing a new generation to visual arts within our community. The ample showing of attendees received red carpet treatment as they experienced the diversity of cultural treasures held in the city of St. Louis. 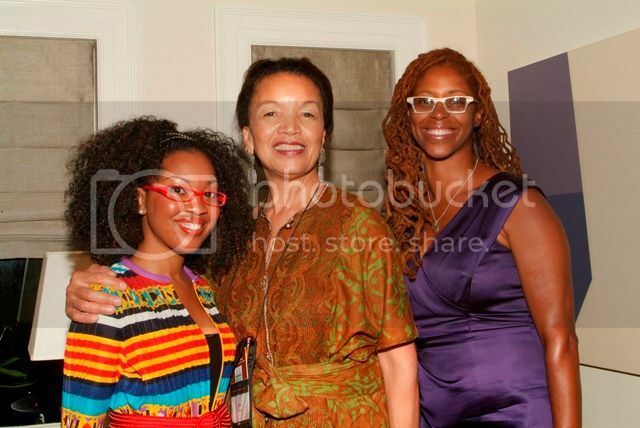 St. Louis Art Museum Board Members Adrienne Davis and Freida Wheaton graciously invited attendees into their private residences for exclusive receptions where guests were granted the rare opportunity to experience both art enthusiasts' extensive art collections. Najee Dorsey, Principal, Black Art in America and photographer Lois Ingrum, were on hand to capture the moment through photography. 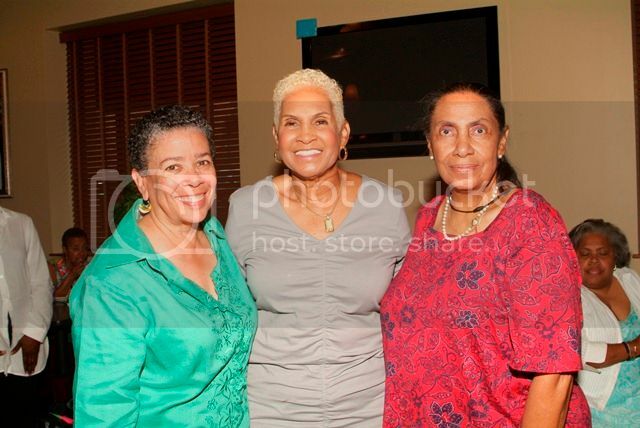 National Alliance of African and African American Art Support Groups co founders, Alvia Wardlaw and Geri Pass-Sowell with "Miss Robbie" Montgomery (center), owner of the famed "Sweetie Pies" restaurant. 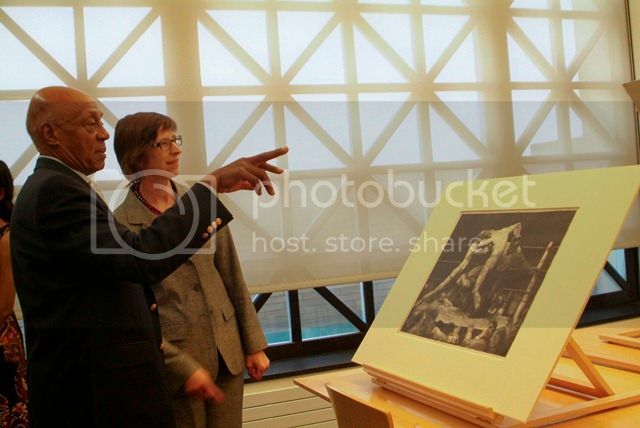 Dr. Donald Suggs, owner, St. Louis American Newspaper discusses a piece with Elizabeth Wyckoff, PhD, Curator of Prints, Drawings and Photographs, St. Louis Art Museum. NAAAAASG co-founders Alvia Wardlaw of the Volunteer Circle of the University Museum at Texas Southern University and Geri Pass-Sowell of the Don P. Sowell Committee of the Cincinnati Art Museum, and much of the organization's advisory council were in attendance. 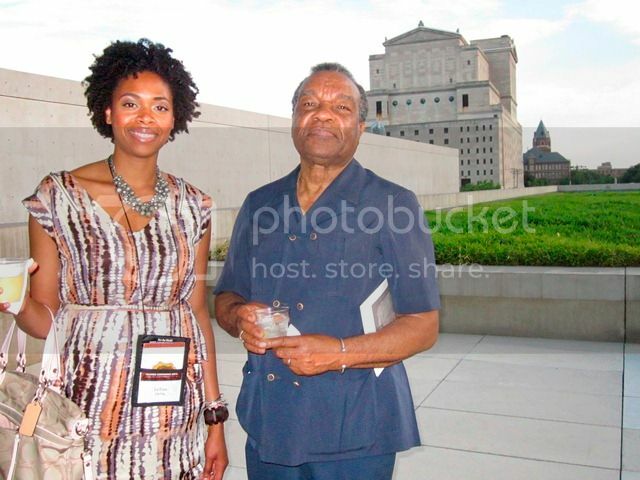 The organization's mission and vision is to unify and empower African American museum professionals, support groups from mainstream museums and art enthusiasts who are interested in acquiring, collecting, exhibiting, preserving and interpreting African American art. Presenting artists included Radcliff Bailey, Theaster Gates and Xaviera Simmons. Other notable presenters included Dr. David Driskell, Professor of Art Emeritus, University of Maryland; Carolyn Adams of Carolyn Adams and Associates, LLC; Danny Simmons, founder and president, Rush Art Gallery; Claudine Brown, director of education, Smithsonian Institution; Sande Robinson, board of trustees, Milwaukee Art Museum; Darwin F. Brown, Esq., senior wealth planner, PNC Wealth Management and Johanne Bryant-Reid, co-director, Romare Bearden Foundation. Special guests included avid art enthusiast Dr. Donald Suggs of the St. Louis American Newspaper; artists C'babi Bayoc, Marilyn Robinson and Soloman Thurman, owner of 10th Street Gallery. 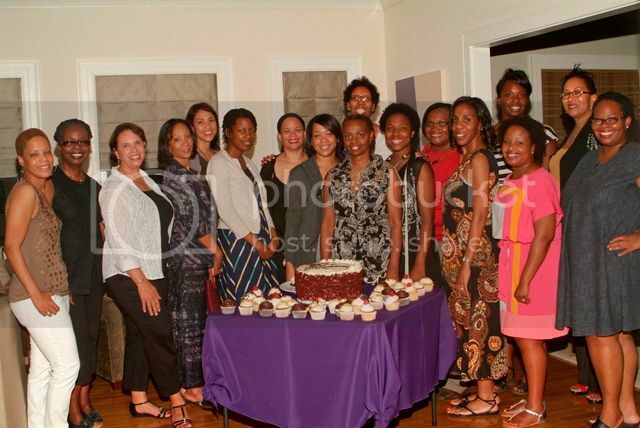 Romare Bearden Fellows reunite at a private reception held at the home of St. Louis Art Museum Board Member, Adrienne Davis (second from right). Naretha Hopson is Director of Diversity Outreach and Assistant Editor at United Media International. She also serves in this position for Beauty Times Magazine and the Korean-American Journal. For many years community development has been an integral part of Naretha's life. She is the founder of Ever-Appropriate Etiquette Institute, a personal development program that empowers youth and adults in under-served communities; and is a proud graduate of the Focus St. Louis-Leadership St. Louis Program. Recently, Naretha was recognized with an award at the Sister Salute Luncheon, acknowledging the accomplishments of Women of Color. She has been inducted into the Regional Business Council’s Young Professional Network- Leadership 100 cohort and has been mentioned in the Who’s Who of Black St. Louis.